Smoke surrounded us for hours on end as we waited in anticipation for the doors to open and let us in. 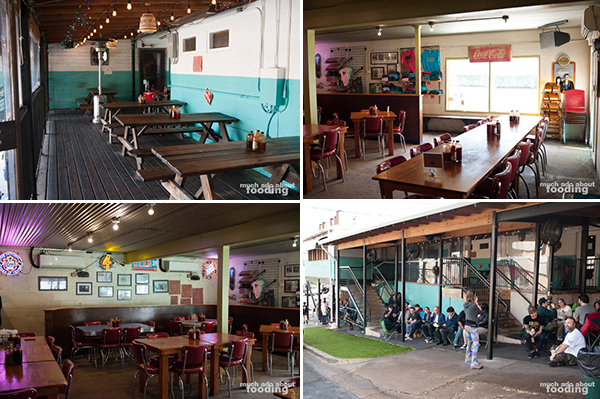 All the times that we had heard about Franklin BBQ and its infamous wait, we would scoff and say we'd never wait for hours to eat. The commitment was at minimum three whole hours, and who wants to stick around that long to get some lunch? It was a tourist trap, right? 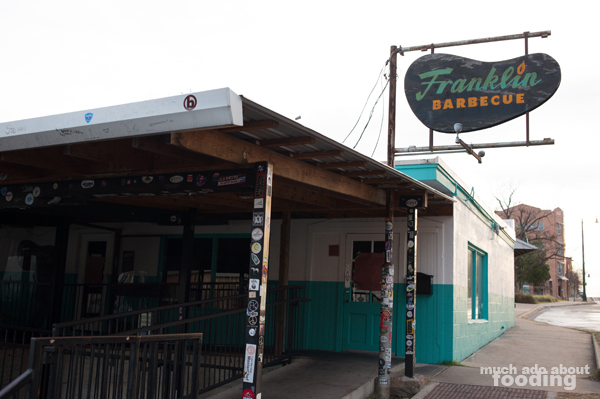 The more I read about Franklin BBQ though, the more I saw some other values in sitting there - meeting other folks who are waiting, spending some offline time with friends, and eventually getting some great barbecue. 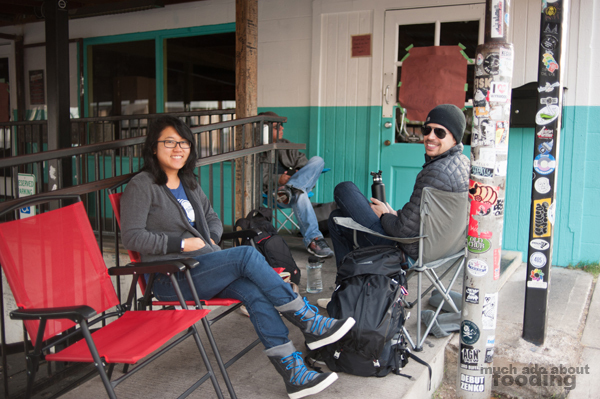 We finally agreed when asked to join our friend in the wait, and with our lunch pack and foldout chairs in tow, we made our way over to the iconic barbecue joint one morning. What a fluke! Perhaps it was the blessing of recent resolution-ers who may have sworn to be more health-conscious that found us second in line at Franklin. We had arrived just a little after 8AM (the restaurant opens at 11AM) to find that there was only one other sole person waiting, and he had been there since 6:45AM. Eventually the line did start to build but not before we had already claimed our spots as the second group to get in and feast on the cared-for meats. If you do decide to go yourself, I highly recommend bringing along others and treating it as time to catch up. If you don't have chairs of your own to haul over, don't worry; there are spare ones underneath one of the staircases outside the restaurant. We did manage to restrain ourselves though. 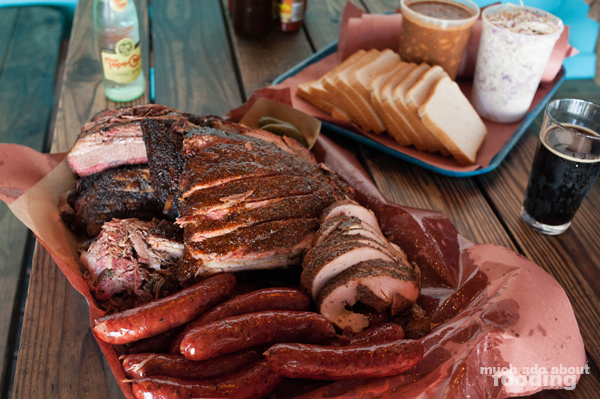 After three hours of waiting, our little group pulled together 1.5 pounds of moist brisket ($20/lb), 3 bones of ribs ($17/lb), 1/4 pound of pulled pork ($17/lb), 3 links of sausage ($12/lb or $3/link), and a single portion of potato salad ($2.50). 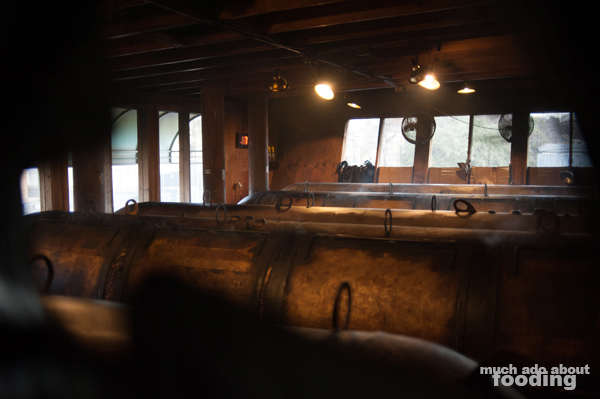 The experience comes with plenty of white bread to help sop up all the juices and oils, and a condiment station inside lets you snag miniature boats of pickles and thinly sliced white onions. The brisket was glorious. Easily the best we've ever had. It was extremely moist and fatty in all the right ways, imbued with a long-lasting smokiness and the right balance of savory and salty on the edges. 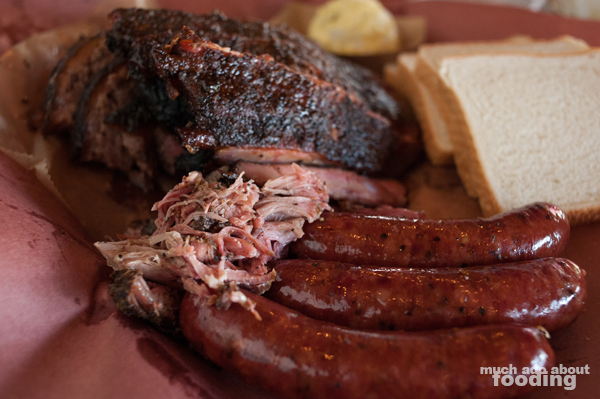 The meat was so tender and hot that it neatly fell away with each fork thrust. 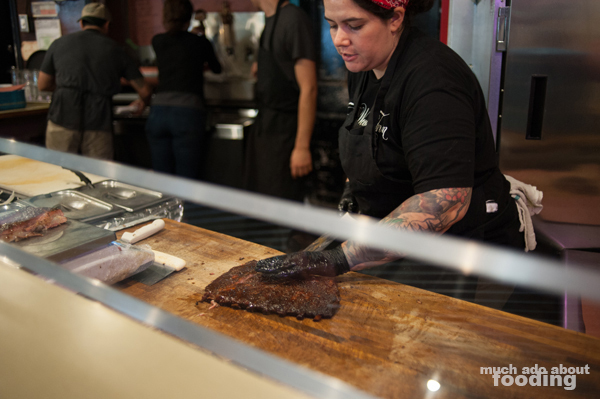 No wonder that people line up for this - it is not just the experience of waiting for Franklin BBQ but it is the brisket that makes up for the queue. As a whole, we also really enjoyed the mild meatiness of the sausage which lent itself to be a great companion to the bread. The pulled pork had a good crust on its edges where its succulent inside meat wasn't, and the ribs had a beautiful flavor but came out a little tough on the bite. The potato salad was a pleasant break from the juices of our pounds of flesh as well. 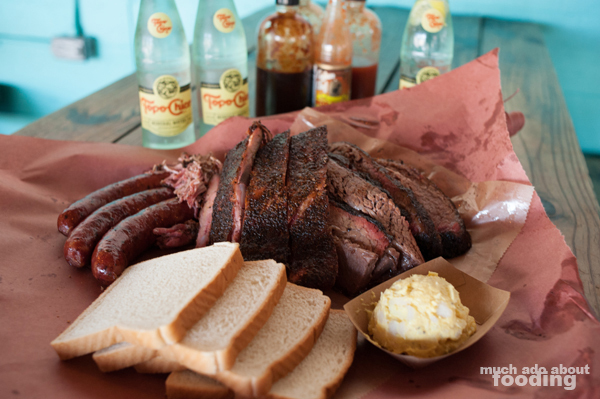 Find Franklin BBQ at 900 East 11th Street, Austin, TX 78702. 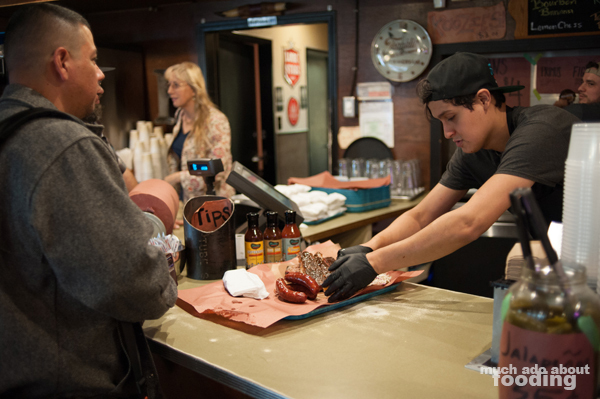 If you must bear with others on the wait time, know that the moist brisket will be the ultimate focal point of your meal so definitely order up!